Here we have the talented Chris Williams who has crafted a beautiful set of new releases for Brooks. One of the finest producers of Riesling in Oregon, Brooks was founded by Jimi Brooks, a Portland native who came to wine through his passion for history and philosophy. Jimi previously worked in Beaujolais, and eventually returned to Oregon to focus on crafting great Riesling and Pinot Noir. Brooks farms twenty acres in the Eola-Amity Hills, a sub-region of the Willamette Valley characterized by higher altitudes and the ocean winds that blow through the Van Duzer Corridor. Head winemaker Chris Williams has previous stops at Maysara and WillaKenzie prior to becoming Brooks head winemaker in 2005. He has become one of the great winemakers for Riesling in North America. 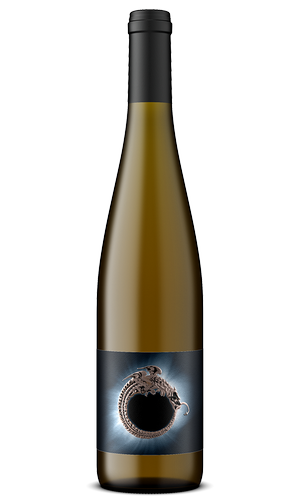 Chris has crafted a seriously good sparkling wine, his 2015 Brooks Sparkling Riesling (WWB, 91) which has just a touch of sweetness and shows really bright acidity. While his overall lineup of Rieslings were stellar across the board, I was particularly blown away with the 2016 Brooks ‘Bois Joli’ Riesling (WWB, 94) which is one of the best Riesling wine I have ever sampled from the Willamette Valley. This wine shows incredible terroir and a gorgeous sense of minerality. Learn more about these beautiful wines at https://www.brookswine.com/ Here are the outstanding new wines by Brooks.